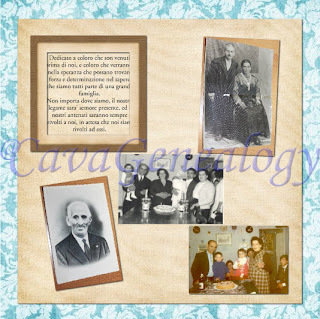 When working on your family history it is only natural to start with what you know which is usually you, your parents, and when in luck, your grandparents. 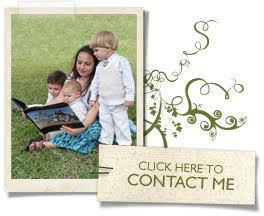 Fact is, this is not all your immediate Family History. 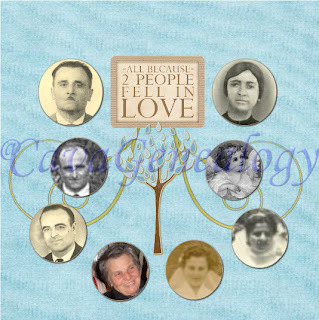 You are part of your grandparents family tree, you are part of the "History of their Future", and so are any of your siblings and their descendants and any of your cousins, their parents and their descendants. 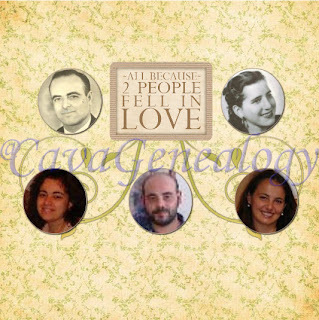 It will have to come a point when you have all of these Family Histories together, because they are indeed part of your own. 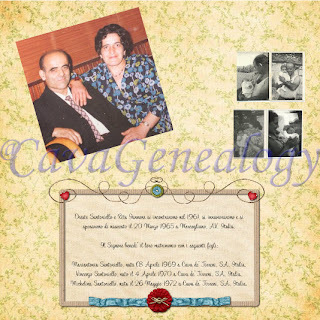 I have decided to create a Descendant book for both my set of grandparents. 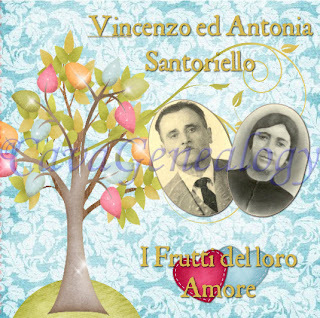 Each descendant is indeed a Fruit of their Love, a fruit of the Santoriello and/or Iannone Family tree. 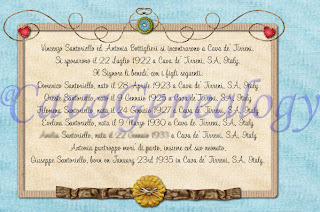 Since I am going to share it with my cousins in Italy, it is written in Italian. 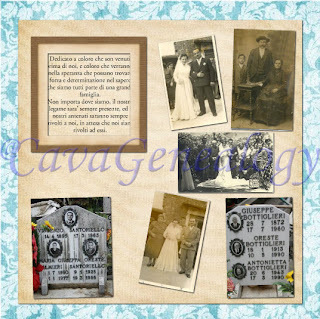 It is going to have a page with some genealogical info and some Family History, and a page with the family cluster for each descendant. 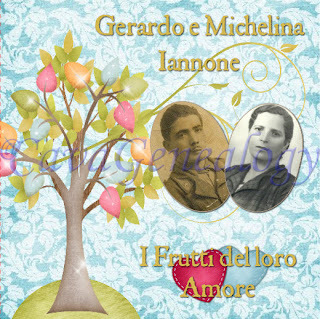 "I Frutti del Loro Amore" in Italian means "The Fruits of their Love"
My dad's parents had 6 children, and sadly my grandma died of childbirth, together with her baby, hence I put an angel in place of the baby. 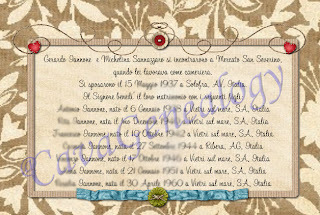 This is part of the page with some of the Family history/ wedding and kids birthday info. My mom's parents had 7 children, and 5 of them had 3 children each who also had an average of 2-3 children each. You can tell that this book is going to have quite a few pages! Naturally this is just a draft, but it gives you the idea. 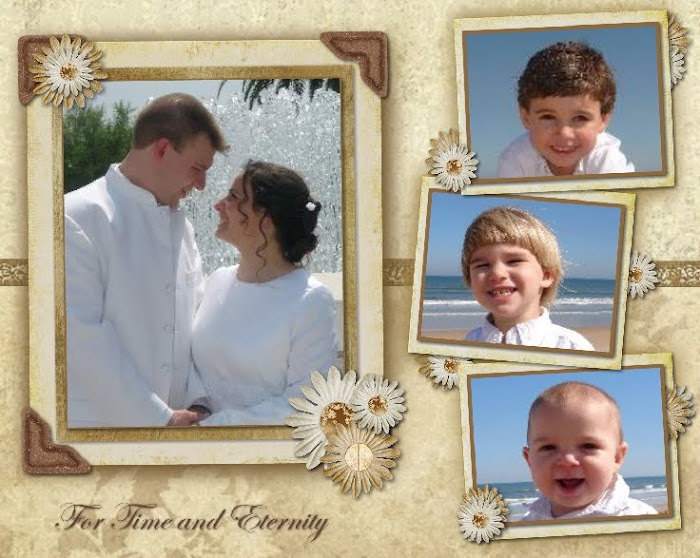 or if I want to add new family clusters as my younger cousins start getting married and having children, I could create a post bound album to then fill with 12x12 pages. To make it more portable, I could make a 5x5 book out of it, or even a 5x5 flipbook or swatchbook(I would need more than one since they come only in 10 pages). 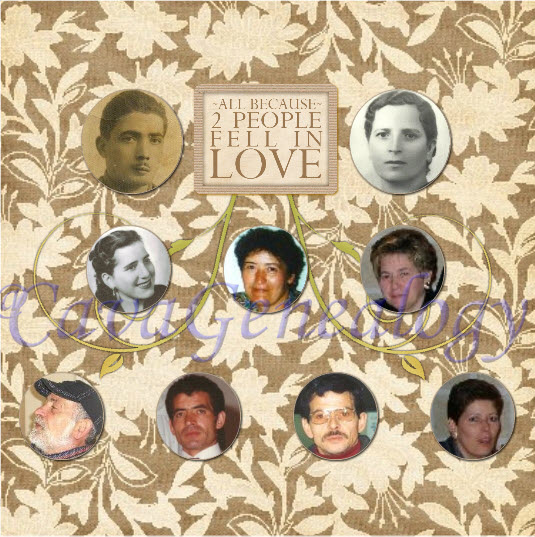 The best part of these books, though, it is their purpose as a tool to help me entice my cousins and their families to share photos and info that I haven't been able to get yet, and that for sure I will not find in civil or parish records any time soon. 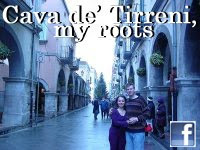 I created a facebook group for the descendants of my grandparents on my dad side, and one for the descendants of my grandparents on my mom's side. I added any cousin I know on facebook from each line, and I shared a few pages of the book asking for help in finding the missing info. 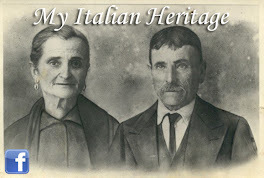 In just a day, I got some info on my grandparents and a whole video full of pictures that my cousins made for their dad, which has all of his children and grand children. Not bad! I still need more pictures and info, but I can already see that my idea is working!!! 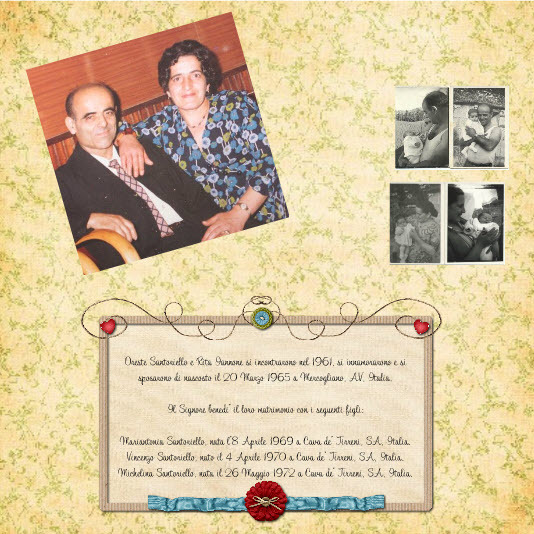 Stay tuned if you are curious to know when I will have completed my grandparents' descendants books, and which one is going to be completed first.